We all have these tiny computers armed with social media apps in hand to suit our every needs: the endless scrolling when we are bored, the constant flow of information, and the major FOMO when we see people doing cool things. Posting updates of our lives, experiences, and yes, our food is fun but are we truly using social media apps at their full potential? Today, I am delving deeper into one particular of social media and how it can be used to plan the best vacation ever. I have a deep love affair with Instagram. It is my favorite social media platform out of them all. I love the endless pretty pictures, the updates from some of my favorite accounts, and the numerous new must-go travel destinations I discover. Check out these 5 tips on how you can use Instagram as the ultimate travel guide! Just like we use relevant hashtags on our images, others are as well! Sure, if you search #Italy you’re going to get a TON of posts that are not really specific to anything but the country of Italy. Finding a more specific hashtags for your destination like #SienaItaly or #SienaEats to narrow down your search is the key. It’s as simple as typing in your destination in the ‘tag’ search and scrolling the most recent or the popular post. Finding a place you want to visit using geotags is the next order of business. This is beneficial to those who already have a destination in mind. Simply search the destination in the “places” tab in your discover section. If you are truly just browsing around for inspiration, click around on your favorite travel-grammer’s account and find a photo with a destination you life! Hopefully, the traveler tagged this location and from there, it is easy as pie! Click on the geo-tag and browse away. From there, you get a million different photos from that specific destination. This is an obvious one but just wanted to put that out there: ask your friends for suggestions! I don’t know about you, but I have some strong opinions on past places I have traveled and I love to share my opinion. Maybe it is my American think-I-am-a-know-it-all personality? Pop it in your Insta stories and let the DMs fly in. Real life advice from people you actually know! This is a relatively newish feature on Insta that I am just now truly embracing and learning. 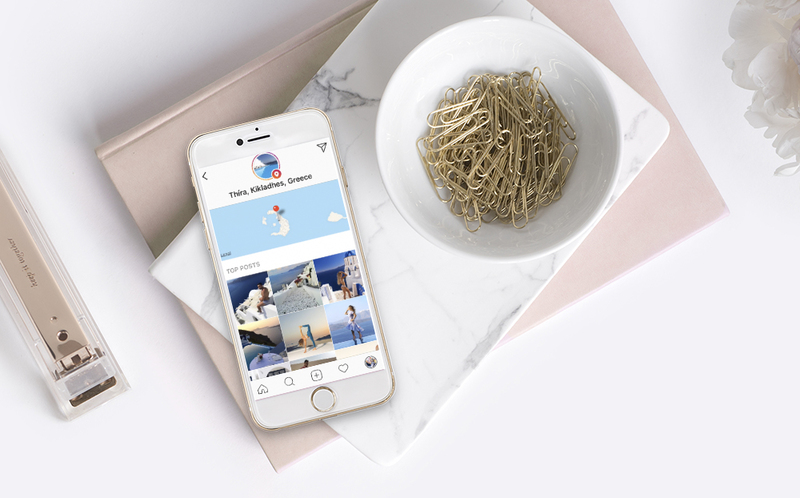 You can now save ANY post you see on Insta and sort them into collections. This is life-changing. If you friend goes to a great new restaurant, BAM, save it for your future visit. If you see a destination you just have to go, save it to a collection. When you are researching via geo-tags or hashtags for your future trips, the collection feature is a must for keeping it all together! The only problem I can see is you might have a hard time fitting in all the fabulous things you want to do! Another super easy one that I honestly haven’t taken advantage of until recently is following a local account of either a tourism board, restaurant, or an influencer in the area. One such example is Visit Savannah. If you were planning on visiting the Hostess City of the South, this account gives you a broad overview of a destination since they share the local favorites, the highlights of the cities, and even new attractions that pop up. Do you have any more tips on how to use Instagram as a travel guide? Leave a comment below! If you enjoyed this post – be sure to share it with a friend.